Processing stirring quantities of up to 200l, IKA’s mixers stand out because of their indispensable features, such as electronic safety circuits, push-through agitator shafts, a digital display, two speed ranges, and the ability to control the rheological changes and monitor parameters using the laboratory software labworldsoft. More features include microprocessor controlled speed technology and a digital error display. IKA equipment meets CE standards and fulfills international safety regulations. The IKA EUROSTAR digital and control series feature a speed display and overload protection. The control version is designed with a removable wireless controller (WiCo) and is equipped with a torque trend and thin-film transistor (TFT) display, RS232, and USB interface. In addition, clients are able to update their product’s firmware online. IKA’s MICROSTAR and MINISTAR series are high-performance, compact stirrers. 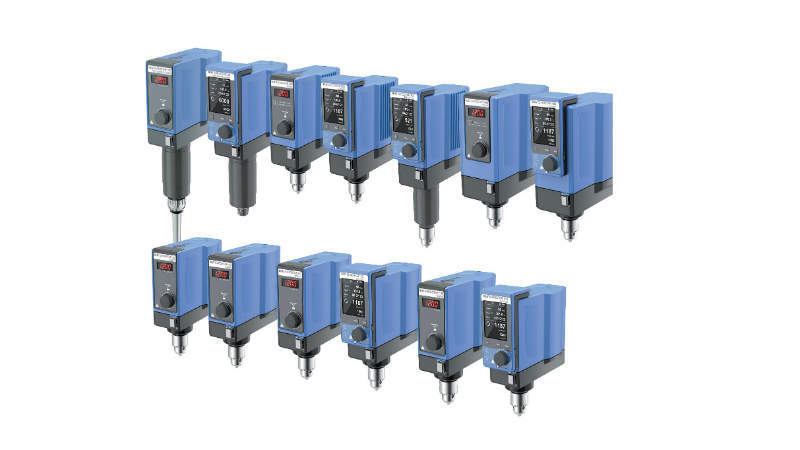 With dimensions of 60mm x 110mm x 123mm, the MICROSTAR control delivers a torque of up to 30Ncm, while the slightly larger MINISTAR can deliver up to 80Ncm. With these two new lines, IKA has successfully reduced required space compared to the renowned EUROSTAR line by up to 85%.